100% Live, Rockabilly / Rock & Roll Trio! 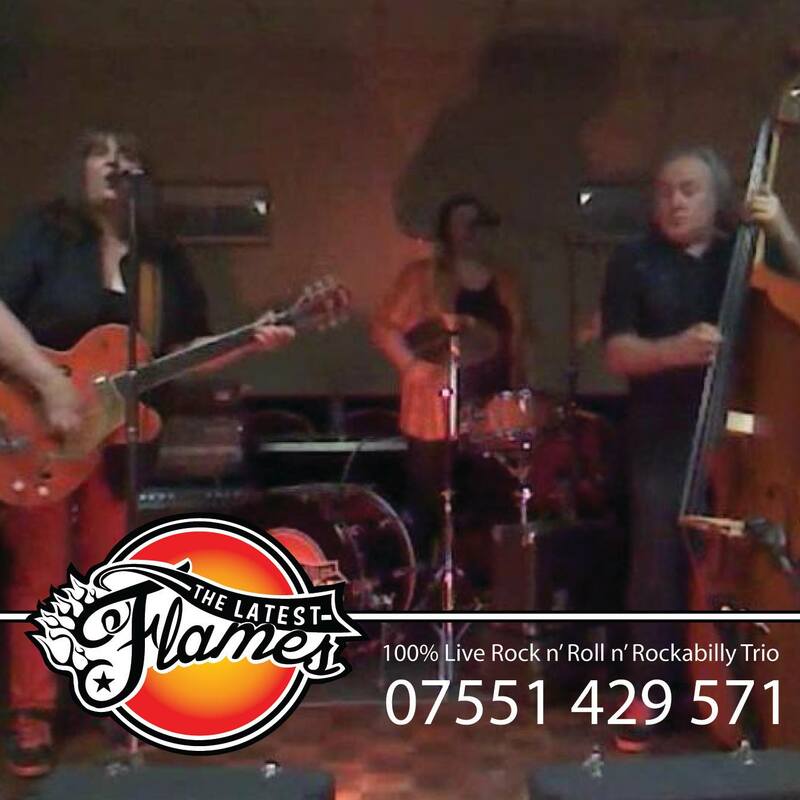 Sue (guitar/vocals), Nigel (double bass) and Aimee (drums) are ‘The Latest Flames’. Authentic, lively, Rockabilly & Rock and Roll trio playing numbers by: Elvis, Eddie Cochrane, Wanda Jackson, Fats Domino, Carl Perkins, Matchbox,Jack Scott, Jerry Lee Lewis etc. Have you seen The Latest Flames perform? Has The Latest Flames performed at your venue? Then why not leave them a review?